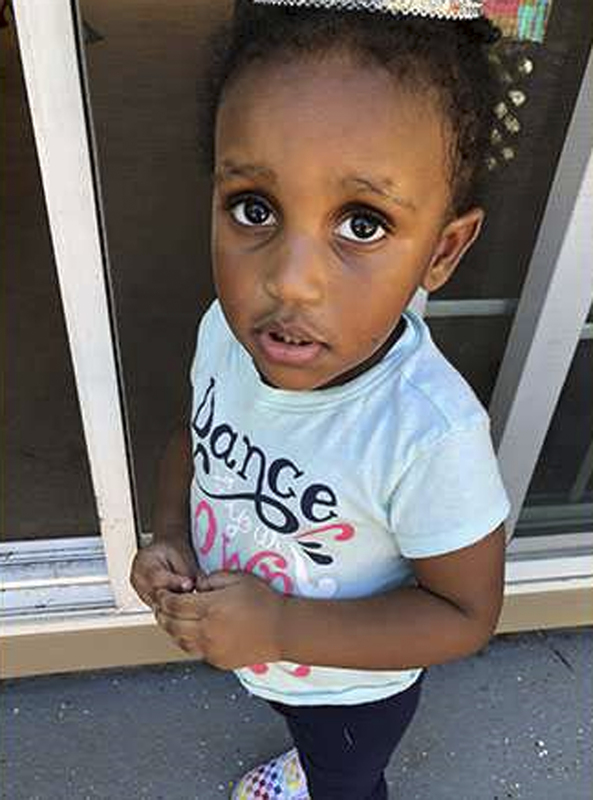 Two-year-old Noelani Robinson, who has been the subject of an Amber Alert since Monday, has been found dead in Minnesota, Milwaukee Police Chief Alfonso Morales confirmed Saturday. On Friday, Morales asked for help from the entire nation to find Noelani after the girl’s father, Dariaz Higgins, was arrested Wednesday on suspicion of fatally shooting her mother, Sierra Robinson, and wounding another woman Monday. Minnesota Bureau of Criminal Apprehension spokesman Bruce Gordon said Noelani was found in rural Steele County, Minnesota, south of Minneapolis. Noelani's family has also confirmed the body found is that of the 2-year-old. According to the Star Tribune and Milwaukee Journal Sentinel, Steele County Sheriff Lon Thiele reported an off-duty public works employee found the body in a ditch outside Blooming Prairie along a state highway Friday night. An autopsy is being conducted to determine the time, cause and location of death. Morales said he hopes to have the autopsy results by Monday. The body was found wrapped in a blanket, and the child appears to have been in the ditch for "quite some time," Morales said, according to the Journal Sentinel. "We believe this death did not occur within the last 24 hours. She had been there for quite some time which is consistent with the suspect's time when he was in that area in Minnesota," Morales said. "That's consistent where we believe we're going with the investigation." Milwaukee Mayor Tom Barrett said Noelani's death is a reminder of the dangers of human trafficking. "I am deeply saddened by the news that the body of 2-year-old Noelani Robinson has been found," Barrett said in a statement released Saturday afternoon. "She was a beautiful toddler and her life was cut short as a result of human trafficking." Prosecutors say Higgins, 34, of Miami, came to Milwaukee to give Noelani to Robinson. Robinson had been living in Las Vegas since February. During the course of the investigation, Higgins has provided inaccurate information, Morales has said. On Friday, the FBI announced a $5,000 reward for information that could lead to the location of the 2-year-old. The Amber Alert for Noelani was issued Monday evening. According to the Wisconsin Crime Alert Network, Noelani was last seen at about 1:30 p.m. Monday in Milwaukee.